Lieutenant-Colonel Arthur Terence Roper-Caldbeck, born June 16, 1906 in Scotland, joined the regular army as a member of the A & S, (Argyll and Sutherland) Highlanders. 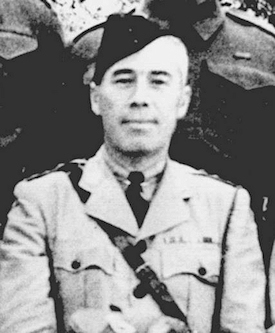 On August 11, 1941 he joined the SOE and in December of the same year he was told that he would be going to Canada to head up a “Special School” and indeed was appointed the first official Commandant of Camp X.
Lieutenant-Colonel Roper-Caldbeck knew that his stay in Canada, specifically at Camp X, was going to be a good one by virtue of the gifted officers that were assigned to Camp X. They were, after all, some of the world’s most talented men in their trade. Richard Melville (Bill) Brooker was born in Paris, France, on September 23, 1909. He joined the SOE’s training section on March 18, 1941 with the rank of Captain. 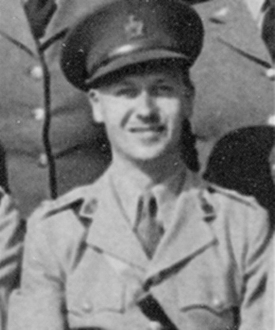 In December of 1941, he was sent to Canada along with Lieutenant-Colonel Roper-Caldbeck, with the rank of Major as second in command of STS 103. (Special Training School # 103, Camp X). 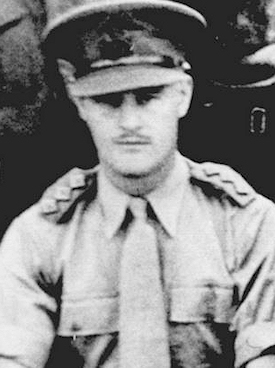 With his promotion to Lieutenant-Colonel, Brooker would succeed Roper-Caldbeck as Commandant of Camp X when the latter would return to England in 1942. When the OSS put pressure on the BSC for Bill Brooker’s services, it quickly became necessary to replace him. The logical successor was Major Cuthbert Skilbeck, the second in command. Skilbeck’s background was very similar to many others who would come through the SOE, BSC and OSS. He had lived in Europe for some time before the war and spoke both German and French fluently. Men such as Skilbeck were naturals for this type of war work and were in great demand. Like Roper-Caldbeck, Brooker and most of the other British Camp X officers, Skilbeck was yet another ‘Beaulieu’ alumni, which was the ‘ACE’ of the finishing schools in Britain. Therefore, he was a natural choice to succeed Brooker when the time came. They had been trained together, had been instructors together and had become good friends. After the war, the FCO (Foreign & Commonwealth Office) and upon my inquiries, wrote the following about Lieutenant-Colonel Skilbeck. Lieutenant-Colonel William Ewart Fairbairn, General List, was born February 28, 1885 in Rickmansworth, Herts, England. 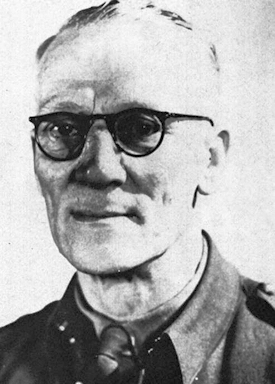 Prior to the Second World War, Fairbairn was the Chief Instructor at the Shanghai Municipal Police from October 1907 to March 1940. 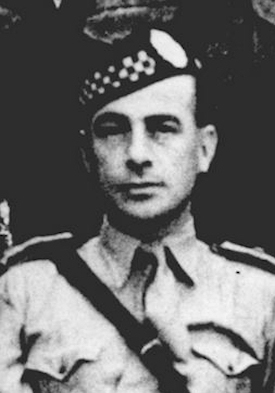 Fairbairn joined SOE in March 1942 with the rank of Captain, having previously been an instructor at the War Office Special Training Centre in Scotland in July of 1940. Immediately after joining SOE, he was posted to STS 103 (Camp X) as Chief Instructor and granted local rank of Major on June 8, 1942. Lieutenant-Colonel Fairbairn was fifty seven years old when he accepted this assignment to physically train men thirty years his junior! Lieutenant-Colonel Fairbairn was unquestionably the most experienced and accomplished person at that time in the art of ‘silent killing’. The fact that Fairbairn was sent immediately to Camp X attests to the importance that the British Secret Service put on Camp X. Major James Adams (Paddy), born June 22, 1905 in Donagadee, Northern Ireland, was a member of the Royal Corps. of Signals. He joined the SOE November 8, 1941 and left for Canada December 22, 1941. Major Adams was appointed Signals Instructor in Camp X and helped build the wireless station, ‘Hydra’. Paddy’s primary function at Camp X was to train the agents in becoming as proficient as possible in the use of W/T (Wireless/Telegraph) radios and Morse Code. It is said that his accent was so thick that often the agents-in-training could not understand him which would infuriate Paddy to no end. 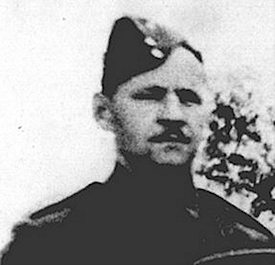 Major Arthur Jackson Bushell was born in Toronto, Ontario, Canada, May 10, 1895. Prior to the war, Major Bushell was a merchant. He joined the Canadian army at the outbreak of hostilities and was recognized at an early stage as “fine officer material”. 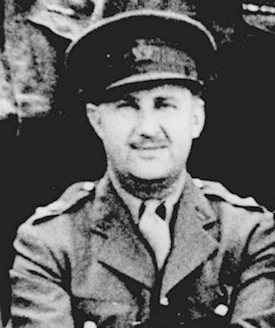 On December 6, 1941, Major Bushell was assigned to Camp X as the Adjutant-Quartermaster and Lieutenant-Colonel Roper-Caldbeck’s right hand man. 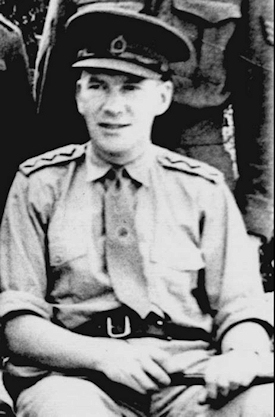 A Canadian, Bushell’s responsibility was to be the liaison with the Canadian NCO’s and with the British Officers to ensure that things operated smoothly at the Camp. Major Frederick Stanley Milner was born March 26, 1916 in Birmingham, England. At the outbreak of the war, he joined The Dorset Regiment. He was transferred to SOE in February, 1941, with the rank of Lieutenant. He sailed to Canada on November 21, 1941, and, upon arrival, was assigned to Camp X as ‘Training Instructor’, his field of expertise, demolition. Many SOE, FBI and BSC dignitaries would be treated to a fascinating exhibition of “fire works” by the ever popular Major Milner. The final colourful and major player in this talented group was Sergeant-Major George de Rewelyskow whose specialty was ‘small arms’ and ‘unarmed combat’. De Rewelyskow was one tough man. He was afraid of nothing and was certainly one of the best choices for this important assignment at Camp X. On one particular Saturday night at the Camp, de Rewelyskow, of whom it was said, “could strike like a snake”, went into Oshawa for some “R&R” with one of the other instructors. After some time at the Genosha Hotel, de Rewelyskow noticed that a man was staring at him and making gestures. De Rewelyskow quickly became agitated and went over to confront the man. Some words were exchanged and suddenly the man took a swing at de Rewelyskow. In one continuous motion, and with split second timing de Rewelyskow grabbed a ketchup bottle, broke it and held the jagged edge to the man’s throat until finally his mate pulled him away from the man. This man never knew how lucky he was for he had just taken on one of the most feared silent killing experts in the world.